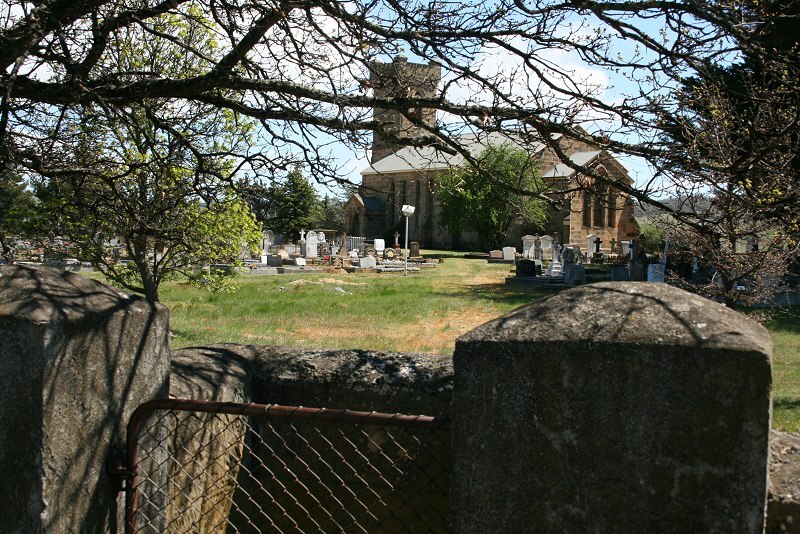 Approximate site of the first chapel, built and opened in 1839. Seven years later, a second chapel was built in front of the original building. 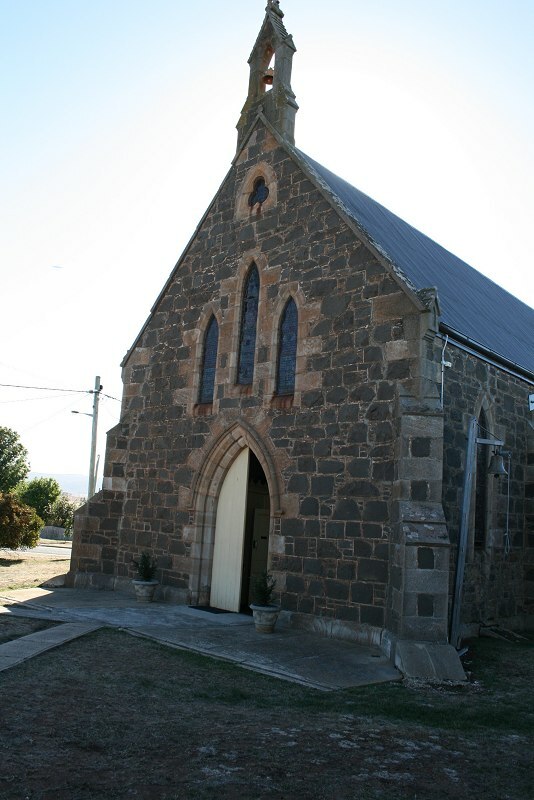 It was built in front of the old chapel in 1846. It was much larger than the first, measuring 46 by 27 feet, and its furnishings were all of cedar. A large gallery was erected across the back of the building in the following year. — The Mercury, 7 January 1940. 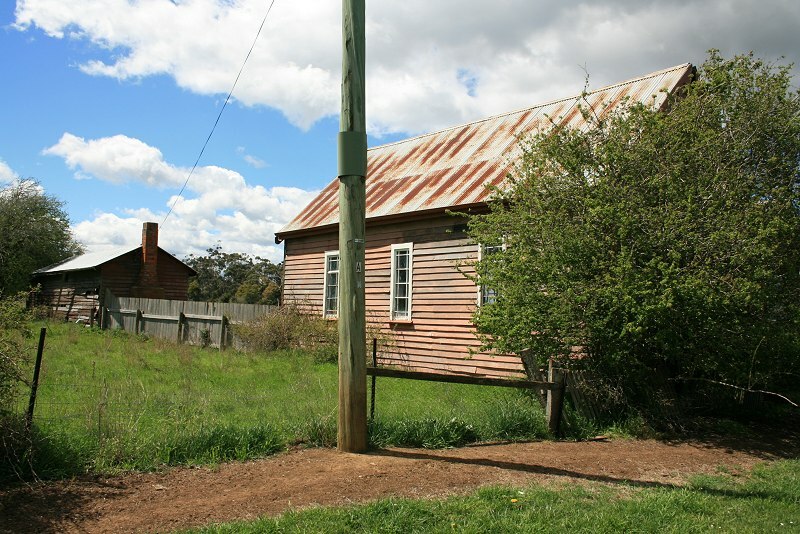 This is where Campbell Town’s first Methodist chapel was built in 1839. It was only 130′ by 17′ and was completed debt free thanks to generous donations from members of the local community. Captain and Mrs Horton of the property Somercotes, where the first organised Methodist services in the area had been conducted, were amongst those who gave most. 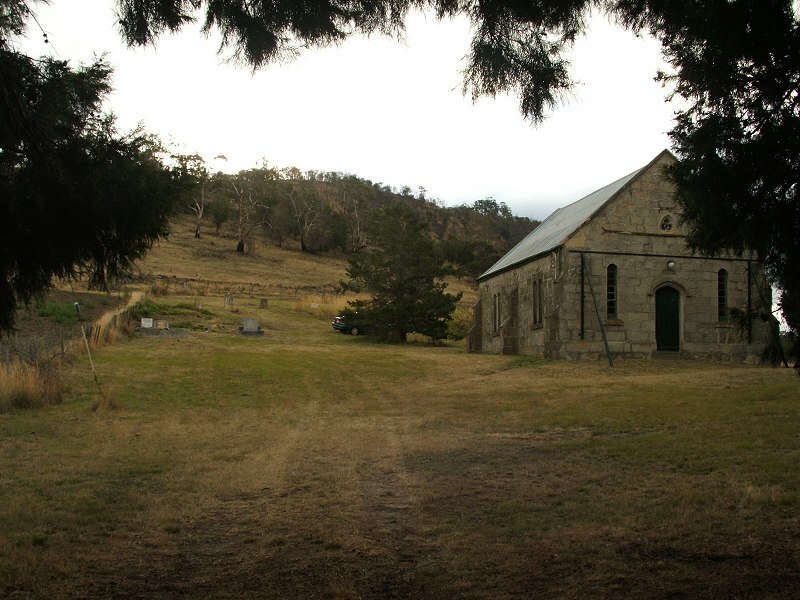 By 1841 the congregation had grown so large that extra seating was added and finally in 1846 the building you see [in the photos] was constructed. 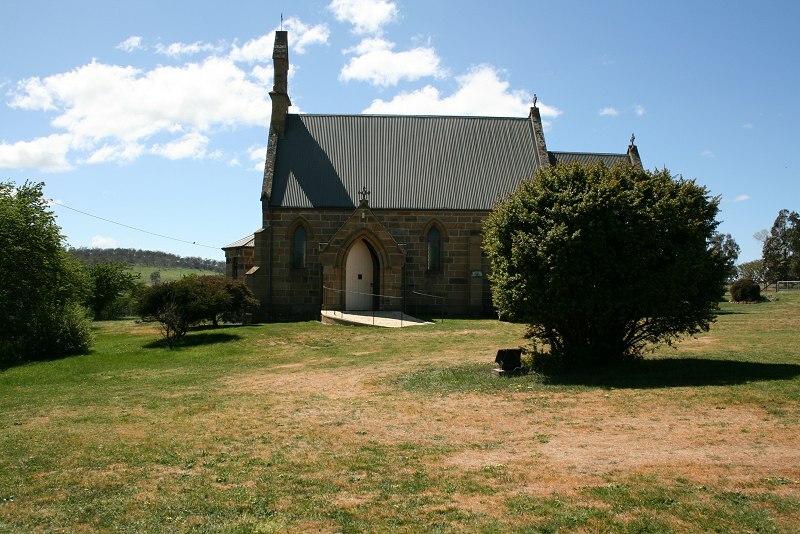 It stands directly in front of the old chapel. 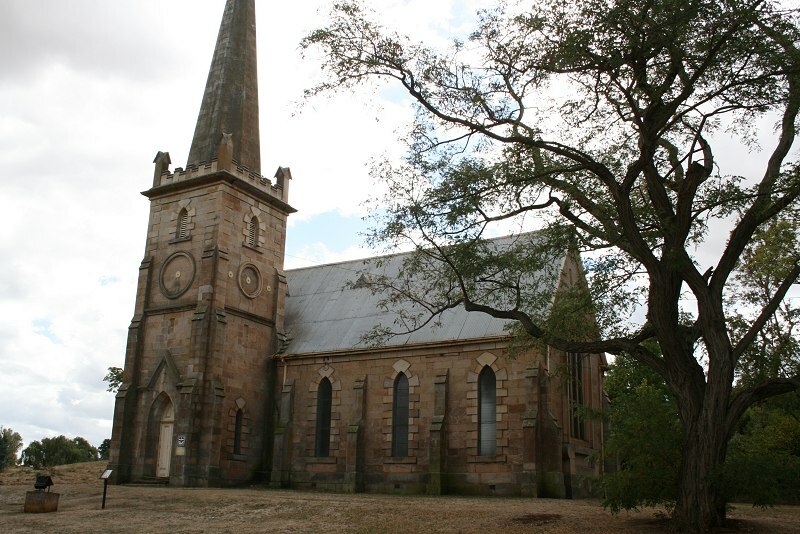 … It too had to be adapted to cope with an ever increasing congregation–in case a large gallery was built. 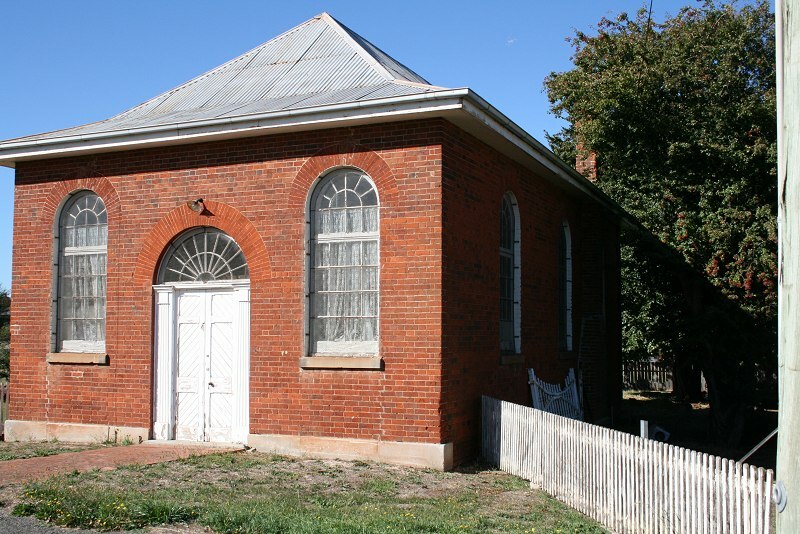 In 1864 during the jubilee of the Australian Wesleyan Methodist church subscriptions were raised again in part to build a bigger chapel. 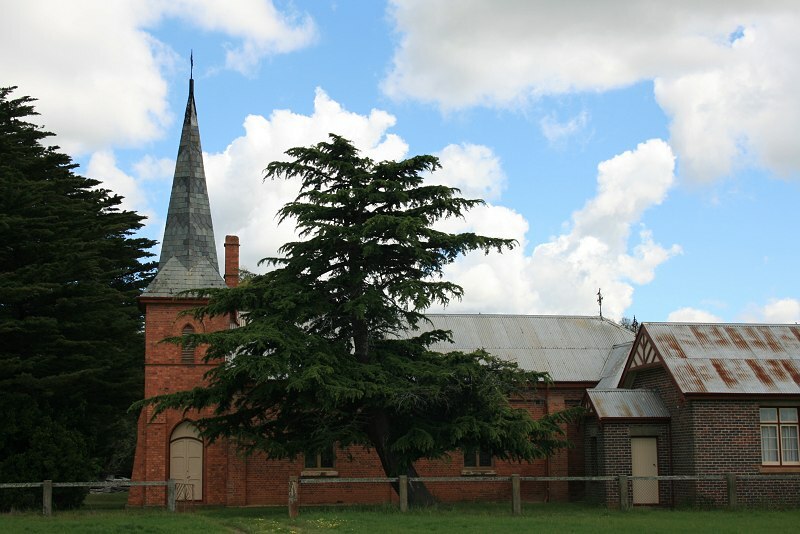 [Brickhill Church, opened 1880] At that time the first chapel was converted in the residence of the chapel keeper and this building modified to become a Sunday School. 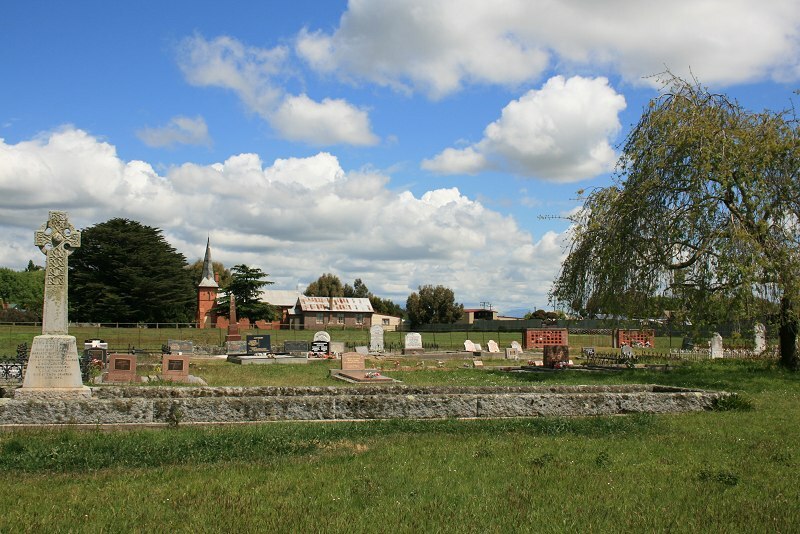 CAMPBELL TOWN.-On Wednesday next, the Rev. 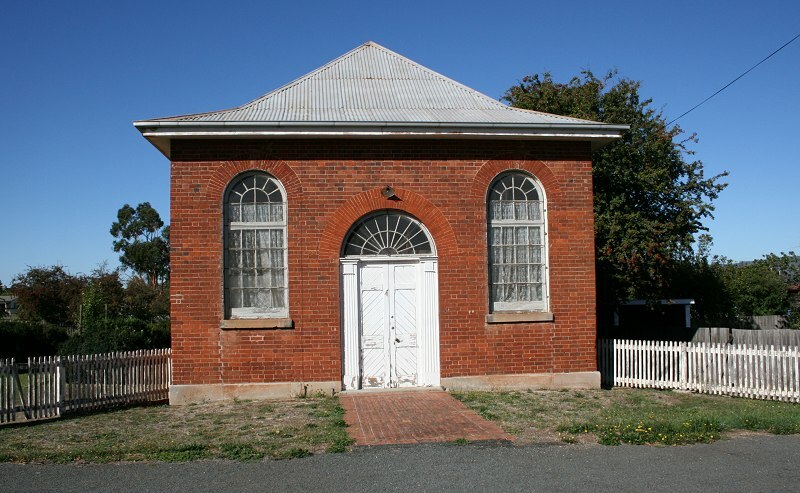 Mr. Boyce, will open the Wesleyan Chapel, Campbell Town, newly erected. The Rev. Mr. Bovce, the superintendent of the Wesleyan Mission in the Pacific, arrived from Sydney on Wednesday, and preached morning and evening yesterday in the Patterson-street chapel. In the afternoon he addressed the children of the Sunday Schools. 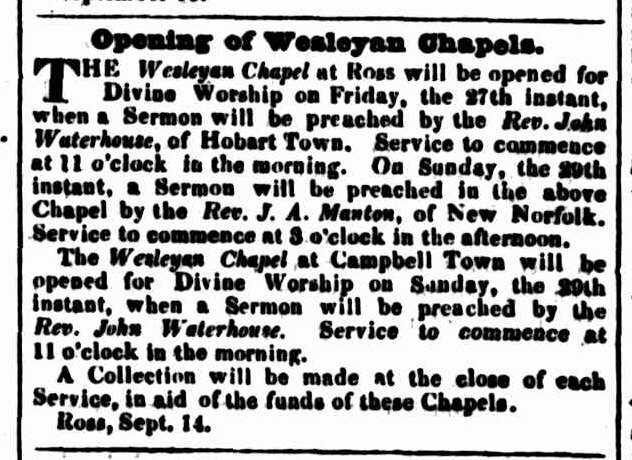 The reverend gentleman will preach at Campbell Town on the occasion of opening the new chapel lately erected there, on Wednesday next. 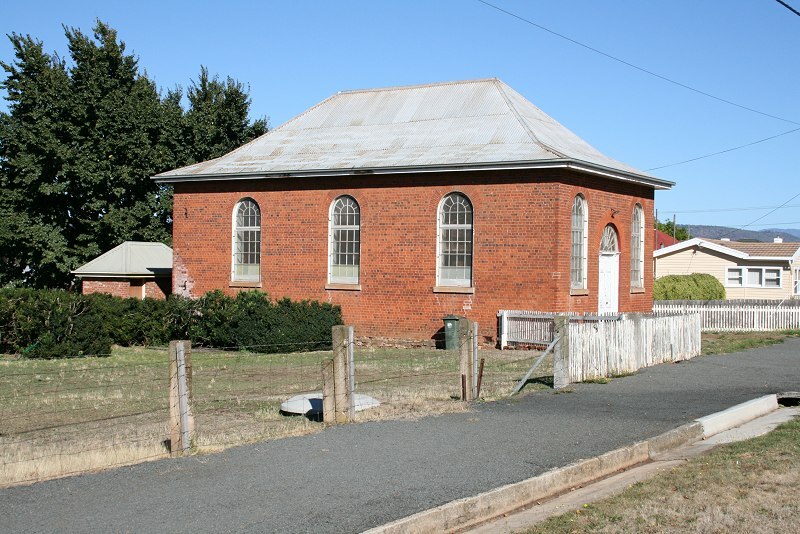 BUILDING FOR MARRIAGES.-The Wesleyan Chapel, King-street, Campbell Town, is duly registered and Gazetted according to law, as a building for solemnizing marriages. Bishop Wilson was responsible for the construction of this bluestone church and his coat of arms and initials, WW, can be found on the south-eastern wall. 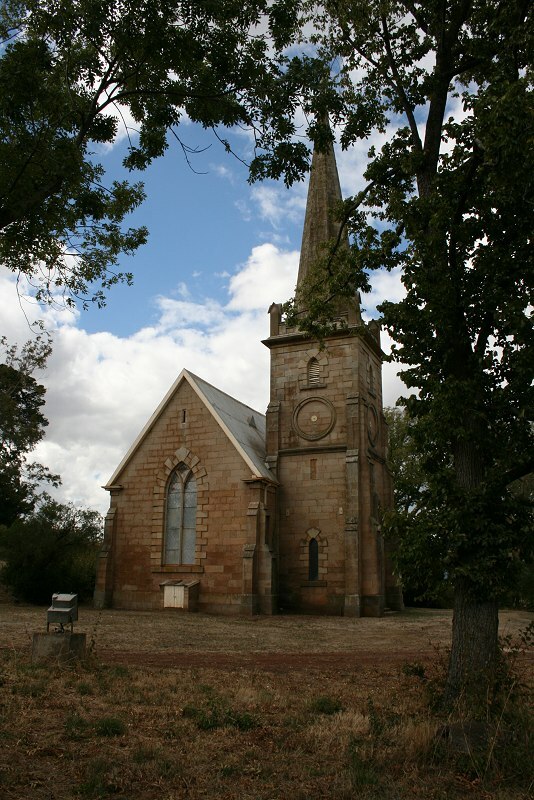 Wilson has tried and failed to obtain land for the Church in the 1840s, but succeeded in 1857 and it was consecrated in September of that year. 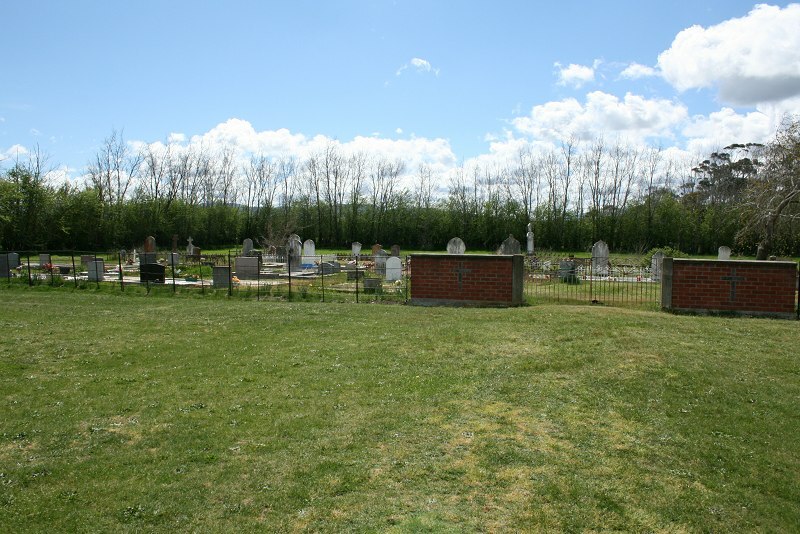 Not all the headstones are below. It is mostly the older stones on the north side, and front (furthest from entrance). For now, I have only listed name & year died, because transcribing headstones is a slow process and I’d rather use that time to post more church photos. 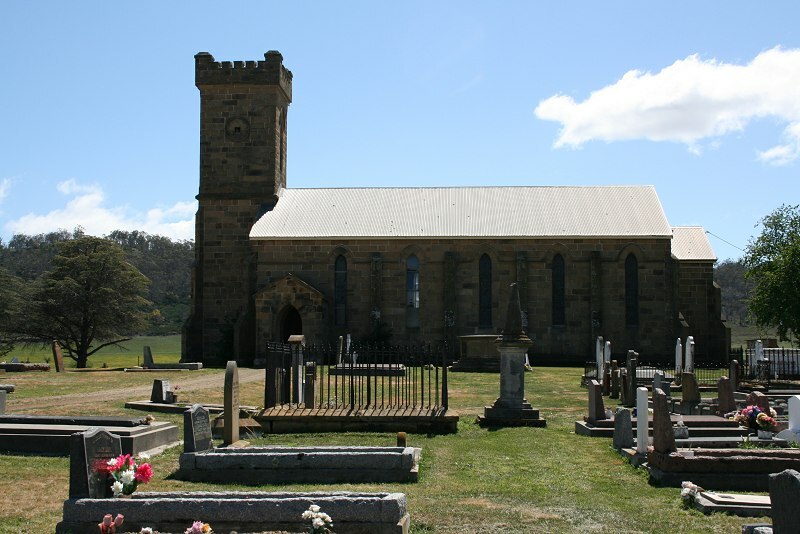 Photos of all the headstones are available through the Northern Midlands Council Cemeteries & Burials Database. CONSECRATION OF THE NEW BURIAL GROUND AT LYMINGTON. 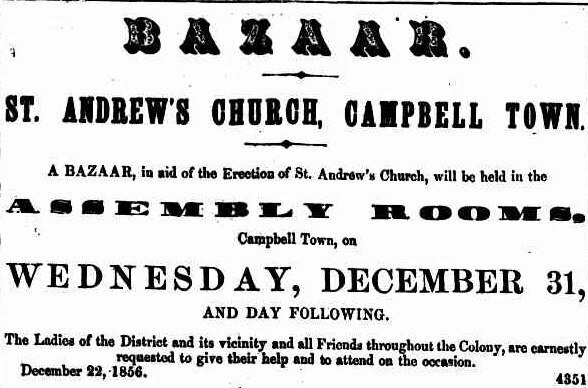 On Wednesday last, the 14th instant, many persons of this and adjoining localities were attracted to the above township, to witness the ceremony of consecration of the new burial ground presented to the parish by James Cox, Esquire, of Clarendon, who, besides, has built and endowed the chapel and school to which the above burial-ground is attached. The introductory service was commenced in the chapel by the Chaplain (the Rev. W. Brickwood), followed by the Very Rev. Archdeacon Reibey, assisted by Miss Cox at the harmonium, and a respectable choral company. The usual requisition was then presented and read by the Arch deacon, signed by the surrounding residents; whereupon the Bishop rose .and delivered a most impressive address, re minding his hearers that it was not merely a formal ceremony, but that it also should tend to imply a recognition by its visitors of their Christian obligations: that in the words of St. Paul, the bodies of each one were also a temple of the Holy Ghost dedicated to the service of God, and impressing the importance of the observance in fulfilling their duty both to God, their fellow beings, and the rising generation; and also their awful responsibility in neglecting the same. The congregation then proceeded to the cemetery, where prayer was again offered. 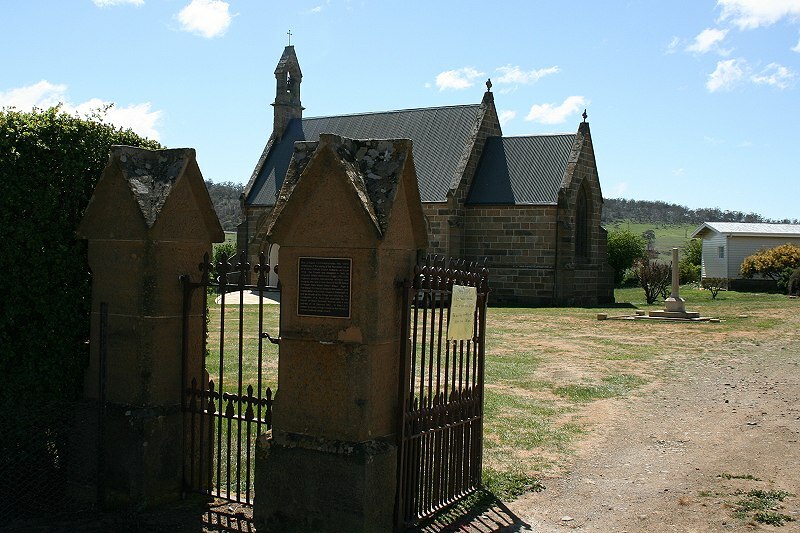 ‘The requisition was again read and signed by the Bishop, confirming the dedication of the burial ground. Part of the 39th Psalm was sung by the congregation and children, who had numerously assembled for the occasion; after which the Bishop pronounced the benediction, and the assembled friends of early[?] Christian education retired highly delighted. 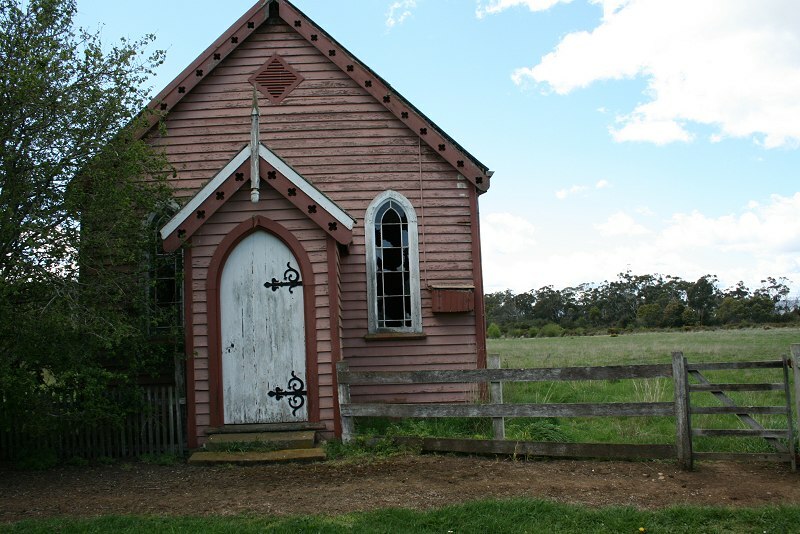 Built as a multi-denominational mission hall in 1882. 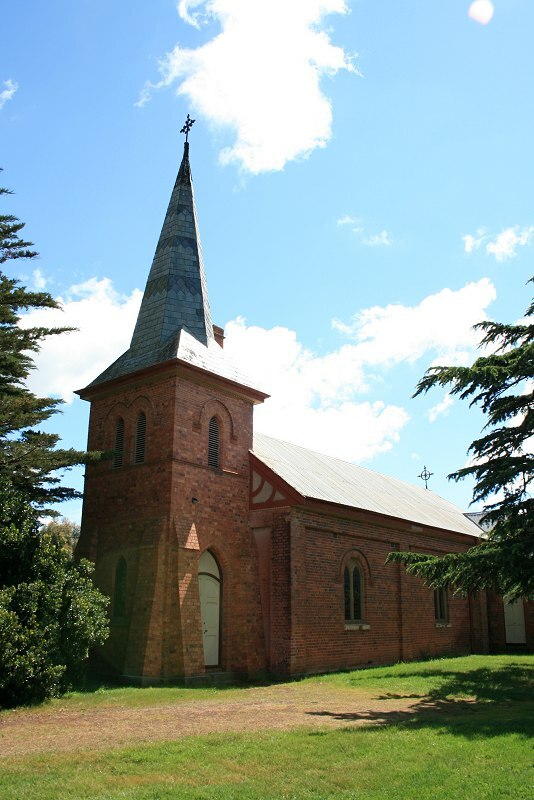 Opened as Wesleyan church in 1885. 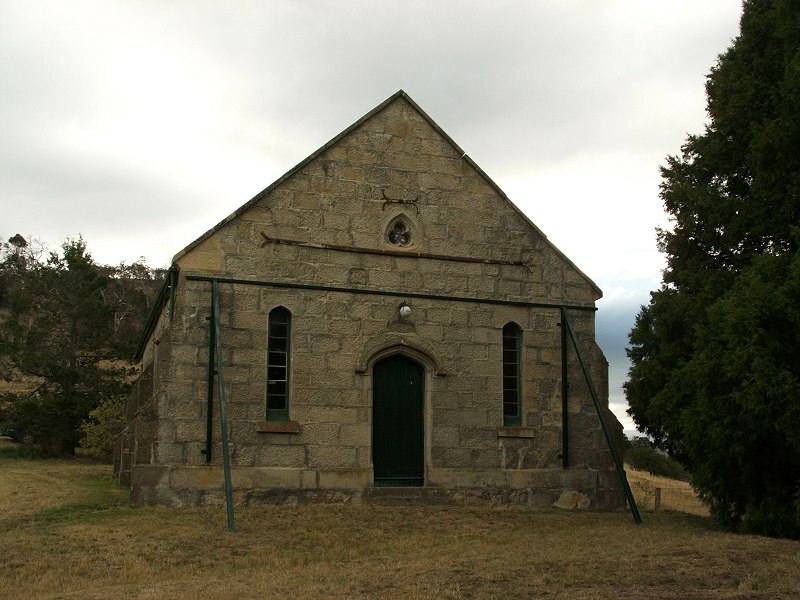 EVANDALE MISSION HALL.-A correspondent at Evandale, writing on Thurs day, says;– “The Mission Hall in this place has been erected to the order of Mrs. Henry Reed, at a cost of upwards of £400. The building will seat between 100 to 200, and is an ornament to the township. Pastor Hiddlestone con ducted the opening service on Sunday last, when, despite the inclemency of the weather, about 120 or so attended. Pastor Williamson conducted the evening service to an attentive audience. Special services have been held by Pastor Williamson and Hiddlestone each evening during the week with some measure of encouragement. The Mission Band came out from Launceston on two evenings, and by their playing through the town ship, enlivened the people, and quite a large number came to the services. The Mission-hall was opened on Sunday week by Messrs. Hiddlestone and J. L. Smith, and, notwithstanding the inclemency of tho weather, a good number were present. 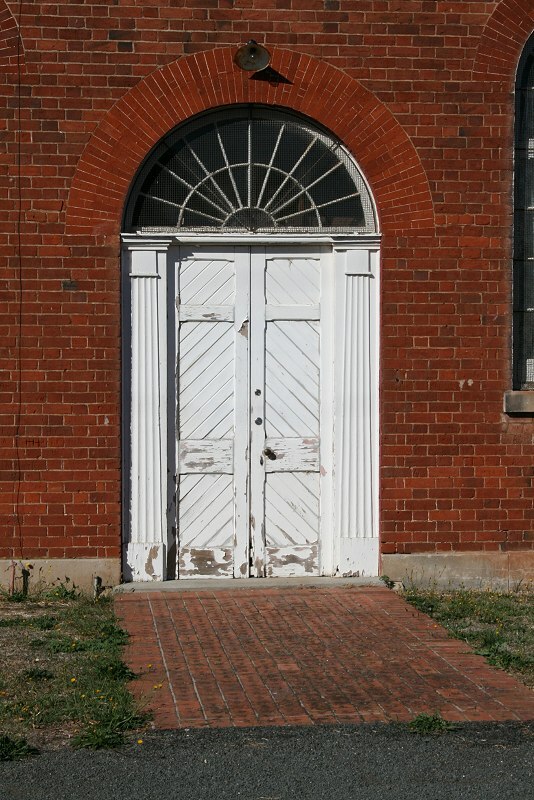 Mr. Smith said that the hall had been built by Mrs. Reed for evangelistic purposes, and invited Christians of all denominations to help. 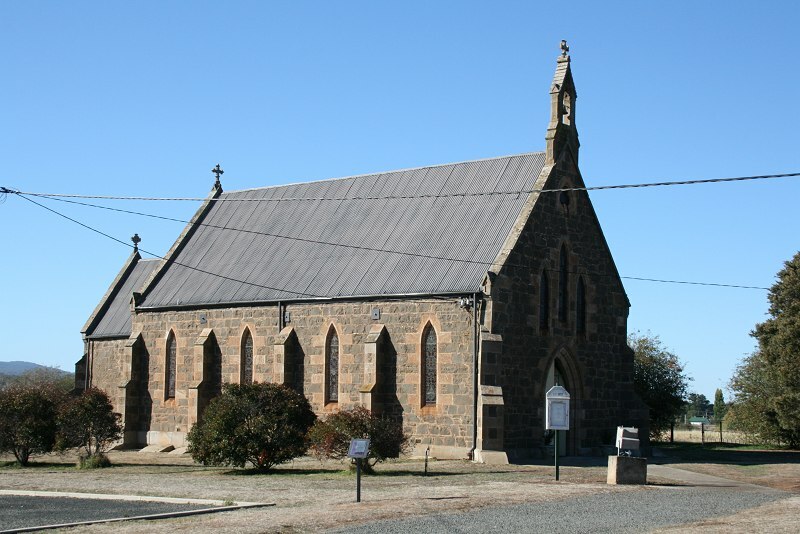 Pastor Williamson, of Perth, preached in the evening to a large congregation, and services were held each evening during the week by Pastor Hiddlestone, Williamson, Bond (of Deloraine), Smith, and other gentlemen. On two occasions the services of a brass band were brought into requisition,, much to tho delight of tho young people? Tho meetings were very orderly.